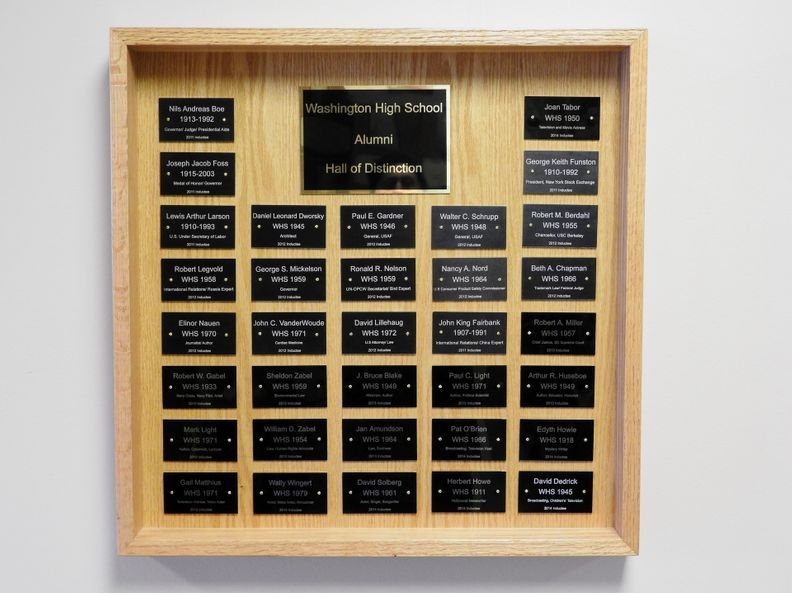 The Washington High School Historical Committee, in 2011, created a Hall of Distinction consisting of former students of WHS who attended the school for at least one year in grades 9-12. 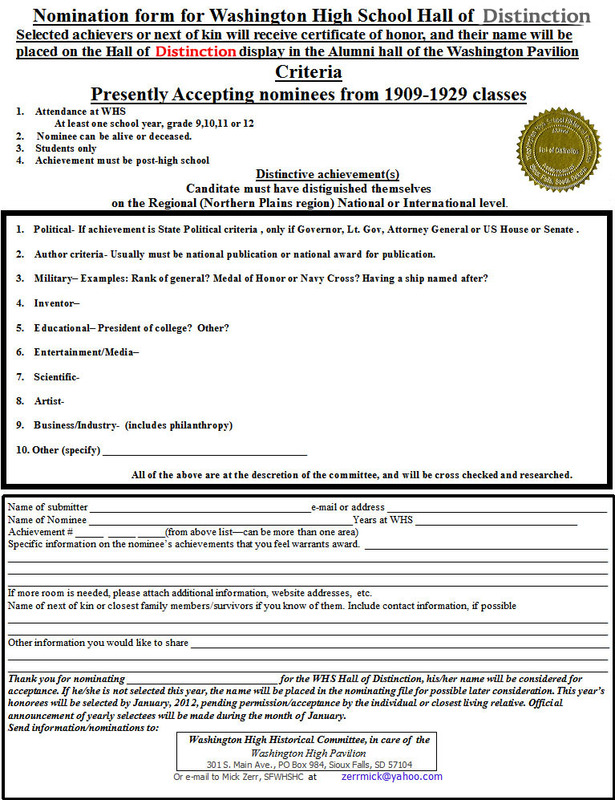 Those chosen to be included in this prestigious group have shown exceptional distinguished achievement, after high school, in a notable field of endeavor at the state, regional, national or international level. 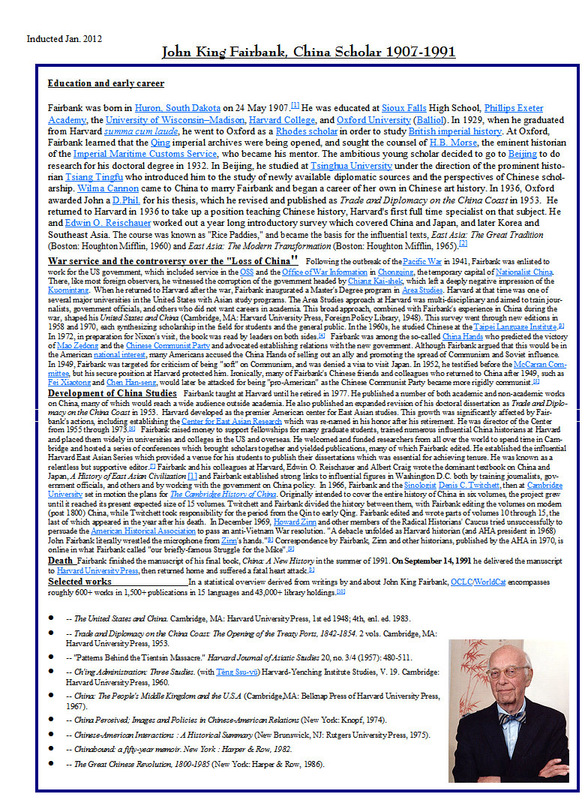 To submit a name for conisderation for the Hall of Distinction, click here for a form. 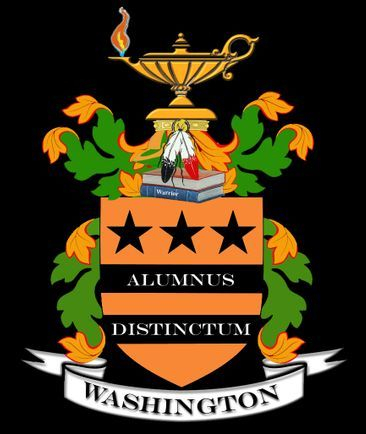 The Washington Crest of Distinction is derived from the crest of George Washington, with school colors substituted for Washington's white and red, and the lamp of knowledge in place of the knight's helm. The green stands for growth. The stars stand for the three senior high classes, and the bars for the path to knowledge and the path to success., with the Latin words for alumni of distinction. The headband with feathers stands for the Warrior school nickname. 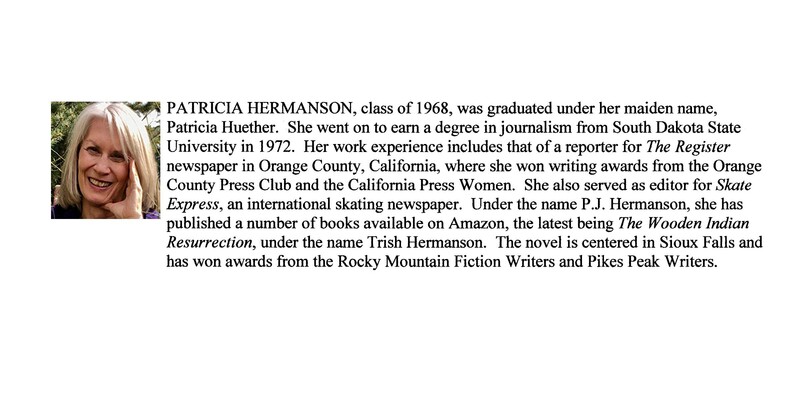 Note that one of the books is the Warrior. 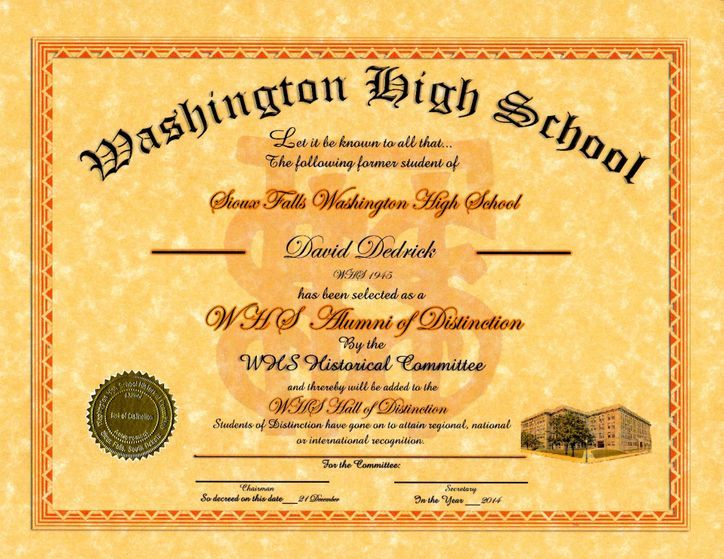 the Washington High School Historical Committee announces this year's class of honorees of outstanding graduates who attended WHS when the school was downtown. Selections made this year gave focus to individuals who have had careers in entertainment and the fine arts.